Christopher Manser does not work for, consult, own shares in or receive funding from any company or organization that would benefit from this article, and has disclosed no relevant affiliations beyond their academic appointment. Curious Kids is a series by The Conversation, which gives children of all ages the chance to have their questions about the world answered by experts. All questions are welcome: send them – along with your name, age and the town or city where you live – to curiouskids@theconversation.com. We won’t be able to answer every question, but we’ll do our best. What would happen if the sun exploded? – Lizey, aged 12, Australia. If the sun suddenly exploded like this, the whole solar system would be destroyed. You don’t have to worry though – only stars ten times the size of our sun, or bigger, can explode like this. Our sun will end its life in a different way. 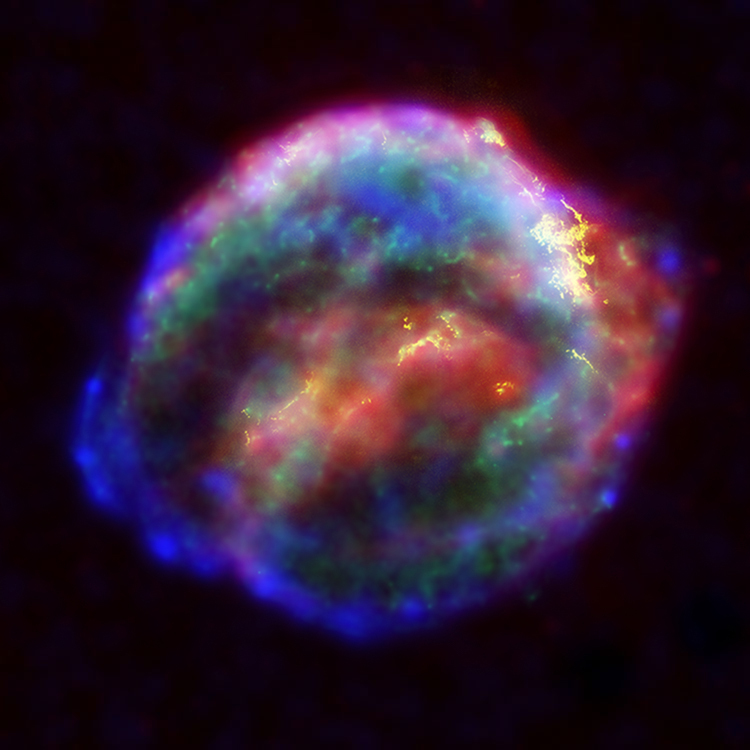 A supernova is like bursting a balloon. But when our sun dies, it will happen slowly, like when you gradually let the air out of a balloon. The sun will start to die when it runs out of fuel in about 5,000,000,000 years (that’s five billion years). This is 77 times longer than the Tyrannosaurus-Rex has been extinct … a very, very long time. When the sun starts to die, it will get bigger and slightly colder, turning into what astronomers call a “red giant”. It will get so big, that it will eat Mercury, Venus and even Earth. Earth could be in big trouble. Shutterstock. When the sun is a red giant, it will be big and puffy, and start to blow off its outer layers out of the solar system. It will get smaller and smaller, eventually becoming what we then call a white dwarf. A white dwarf is the core of a dead star. They are super heavy, weighing almost as much as the sun, while being only the size of the Earth. A teaspoon of white dwarf would weigh somewhere around 6,000 kilograms – as much as an adult elephant! When the sun is a white dwarf, most of the solar system will still be around. Mercury, Venus and Earth will be gone, but Mars, Jupiter, Saturn, Uranus and Neptune will survive and continue to go around the sun. So will the asteroid belt, Kuiper belt and dwarf planets like Pluto. Because a white dwarf is small, it doesn’t produce as much light. A white dwarf doesn’t have any fuel to give it energy, so it also gets colder and colder over time. Eventually it will become very dark. The light from the sun is what keeps our planet warm. Without it, the planets in the solar system will get very cold. This would make it harder for life to stay alive in the solar system. A white dwarf doesn’t produce much light. But in the future, humans might build spaceships that will allow us to leave Earth. Humans might even build something to move the Earth. This would let the planet survive being eaten by the sun as a red giant. The sun will become a red giant and then a white dwarf over billions of years. This is a very long time. We cannot watch a star do all of this, but we can learn how stars are born and die by looking at the stars in our galaxy - the Milky Way. The Milky Way has stars of all ages, and over time astronomers have worked out which ones are young, old or dead. By studying the old and dead stars, we can discover what will happen to our sun in the far, far future. Who is Siri? – Miles, aged four, London, UK. How did the months get their names? - Sylvie, aged eight, Brisbane, Australia. Curious Kids: Do astronauts get space sick when they travel from Earth to the International Space Station?